Vice President Yemi Osinbajo on Thursday raised the alarm over an alleged plan by insurgents to bomb his house. 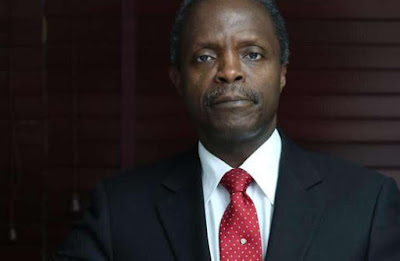 Osinbajo raised the alarm during a meeting of the National Economic Council held inside the Presidential Villa, Abuja. According to a statement issued at the end of the meeting, Osinbajo who had toured some of the states witnessing insurgency in the North-East, told members of the council that intelligence report made available to him indicated that insurgents were planning to dump refuse laden with bombs in his house. The council document released by its secretariat did not however indicate where his house in question is situated. “The Vice President also disclosed that security reports has it that scavengers are now being prepared by insurgents to dump refuse laden with bombs in the house of the Vice President,” the document read.The statement said Osinbajo regretted that the insurgency had affected the economic life of the North-East and the country as a whole. He called on members of the council to speak as a team and put pressure on the service chiefs to increase their effort in fighting insurgency. two girls aged “under 15″ bomb the central market in Maroua, as well as the adjoining Hausa neighbourhood, said regional governor Midjiyawa Bakari. A source close to local authorities said “two girls, who were begging, blew themselves up” at about 3:00 pm (1400 GMT), causing “total panic” and leaving gruesome scenes of mutilated bodies and flesh, according to one journalist. President Paul Biya’s office said 11 people were killed and 32 wounded, condemning the attacks against innocent civilians as “cowardly and despicable”. Biya called on Cameroonians to be vigilant, with the attacks the second this month. On July 12, two female suicide bombers wearing the full Islamic veil blew themselves up in Fotokol, on the border with Nigeria, killing 10 civilians and a soldier from neighbouring Chad. Regional authorities have since banned the use of full-face veils. The attack in Cameroon saw two girls aged “under 15″ bomb the central market in Maroua, as well as the adjoining Hausa neighbourhood, said regional governor Midjiyawa Bakari.